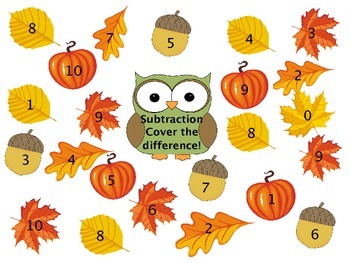 This game is a Fall themed subtraction game to 10. 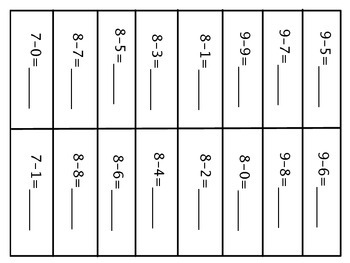 Students will draw a subtraction card. Solve it and cover the answer on the game board.